There's just something about #77 at Michigan. For me, it ranks right up there with the #1 jersey for a WR in terms of how much it means to that position. You think of #77, you think of dominant offensive lineman, tackles specifically. 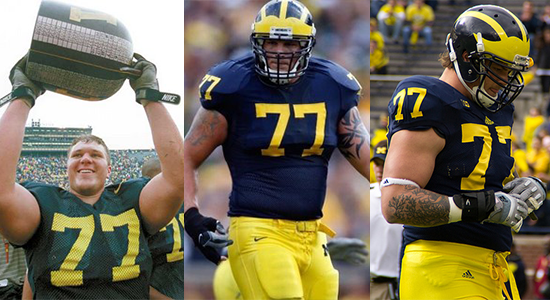 Jon Jansen, Jake Long, and now Taylor Lewan. All wore 77. All are All-Americans. I've snapped some nice shots of Lewan over the last couple of years. So here's a gallery of some of my favs.